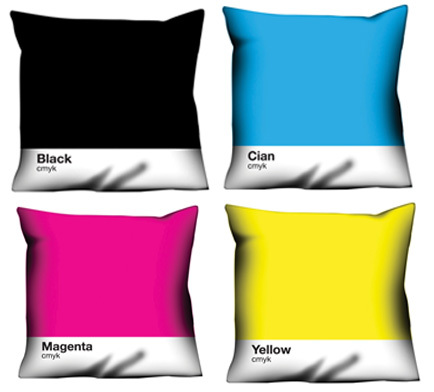 Meninos launched these new geeky CMYK pillows! But "Cyan" is spelled wrong!! !